Enhancing sport performance requires on-going feedback regarding training progress and information that can augment the efficacy of the athlete’s preparation. The Canadian Sport Institute Physiology team works through coaches to optimize athlete training, help athletes understand their strengths and weaknesses, benchmark athletes against world standards, and facilitate preparation for competitions. Additionally, the Canadian Sport Institute Physiologists support their testing by on-going research in human performance to provide the most current information to strengthen their program. 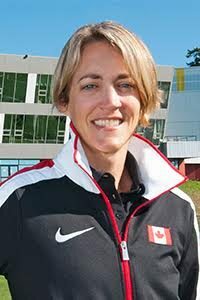 The Canadian Sport Institute Physiology team is composed of experts in the field, responsible for identifying and quantifying the physical and physiological characteristics that contribute to performance in particular sports and the most effective methods of manipulating these characteristics to enhance the likelihood of success. Additionally, the Physiology team is responsible for providing scientific support and research to elite athletes and coaches through analysis of the various physiological systems pertinent to exercise and performance (cardiovascular, respiratory, metabolic, blood, urine, and hormonal systems). Check out the latest resources from Physiology.